Rec2Tech is a nationwide initiative founded at the Digital Harbor Foundation in Baltimore, Maryland. It is a call to action for government, civic, and community leaders to support the transition of underutilized public spaces into hands-on tech centers. These defunct urban Rec Centers, community centers, or empty library spaces can be transformed into gathering spots for youth, families, and the community at large to build, program, and create with technology. Rec2Tech supports a network of community spaces who are rethinking the way we learn technology and who has access to innovation: from youth technology education, to community hack-a-thons, intergenerational tech activities and more. 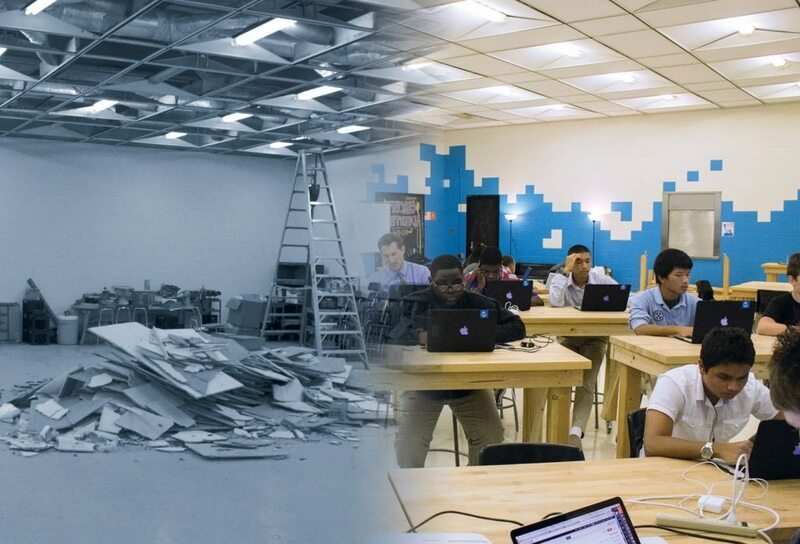 In 2013, Andrew Coy, Shawn and Steph Grimes, and a team of DHF supporters and volunteers converted a closed-down Baltimore Rec Center into the DHF Tech Center, a safe place for youth to learn key technology skills, experiment, iterate, and explore pathways to college and careers. Within two years of its opening, the DHF Tech Center was providing afterschool and summer programs, field-trips, community maker nights, and hackathons for hundreds K-12 youth. Word about DHF spread quickly, and soon 1,200+ government officials, entrepreneurs, educators and administrators toured DHF to see our space and what was happening with the youth. Many of these visitors asked variations on the same questions: How can we build this in my city? Where did you learn to build your own Tech Center? Can you build one for us? This Rec2Tech transformation led us to launch the DHF Center of Excellence for Innovation in Technology Education from the White House Maker Faire in June 2014. The Center housed the first phases of the Rec2Tech initiative, including our signature Educator Professional Development workshops, the FabSLAM and WebSLAM competitions and more recently, the Innovation Access Program. 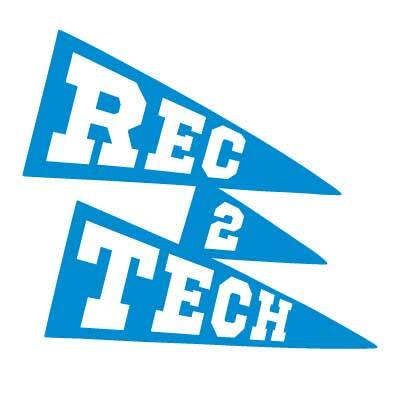 Rec2Tech quickly took hold across several organizations in Baltimore, in sister cities like Pittsburgh, as well as in school districts, community centers, churches, and individual classrooms across the US. To help coordinate and communicate through these networks, in 2015, DHF launched the Rec2Tech initiative on a national scale during the White House National Week of Making. This network helps like minded innovators, makers, and organizers keep in touch, share ideas, and we hope, to iterate faster by learning from our mistakes and successes. Since DHF completed the first Rec2Tech transformation in 2013, Rec2Tech’s momentum has steadily grown. Up through September 2016, the DHF Tech Center has served 2,500+ Baltimore youth and trained 354 educators (and counting). We’ve worked with tech companies, youth organizations, schools, and districts across the country to build their tech learning capacity and youth outreach. Thousands of people visit DHF Blueprint – our online knowledge and resource portal – every month to find projects prompts, lesson plans, assessment resources, and, yes, actual blueprints for the tools, furniture, and layout you’ll need to build, run, and maintain your own Rec2Tech Center. Every DHF program is custom-designed to bring youth real-world technology learning experiences. At the DHF Tech Center, we provide entry-level and advanced instruction in topics from digital literacy to web development, 3D printing, and electronics. We’re committed to providing instruction in the most relevant high-growth tech skills, from wearable electronics to the Internet of Things. DHF youth can also participate in real-world challenges like WebSLAM, where they build real websites for local nonprofit and small business clients. Our other challenge, FabSLAM, allows youth to build real 3D printed prototypes in response to a design challenge. DHF Tech Center has already had a strong impact on the youth we’ve worked with. We’ve seen significant growth in students’ soft skill development and technology skill attainment. For example, in recent programs, youth have increased their WordPress experience by 93% and CSS programming experience by 85%. This new knowledge and confidence has been transformative for students; one young man from West Baltimore presented 3D printers he built at DHF at the White House Maker Faire and now runs his own 3D printing business while he attends college. Another youth built her own digital jukebox from an old piano, and just landed a job at a tech startup, where she’ll save up for college – as soon as she graduates high school. Many DHF alumni have identified the Tech Center as a critical factor in their decisions to pursue advanced technology and engineering education post-high school. Join our newsletter to learn more about how your city can join the Rec2Tech movement to provide more technology education opportunities to your local community. Visit DHF’s Blueprint Website to find resources, guidance, and real-world advice for your Tech Center. Contact us to talk about your Rec2Tech commitment, ask questions, and find resources wherever you are in your process, or to talk about a consultation for your Rec2Tech transformation.